With many dental professionals such as general dentists, non-board certified orthodontists, and board-certified orthodontists, the choices can get confusing. As the Torrance Invisalign specialist, we often get asked why choose our board-certified orthodontist over our competitors, and what one should look for in their orthodontist when getting Invisalign in Torrance. As a top premier provider of Invislaign in Torrance, we want to make sure our patients have the best Invisalign experience they can. The aligners need regular cleaning to prevent them from getting smelling and crusty. 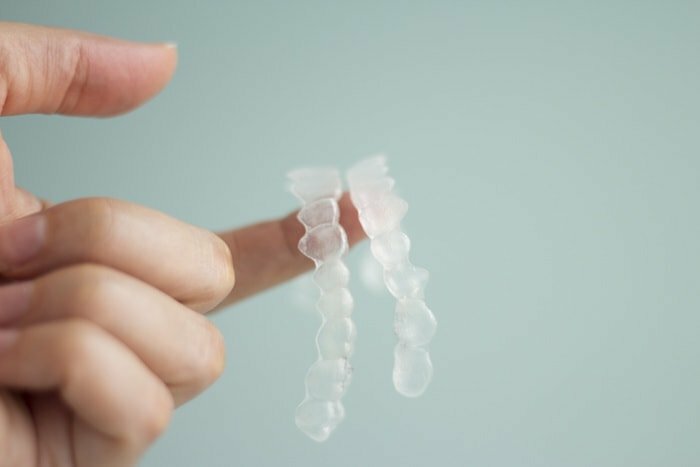 We have some tips that can help you keep your aligners staying fresh and clean. What are Invisalign bumps, ridges, and buttons? Our office has been doing Invisalign in Torrance for several years, and seen advances that allows Invisalign to treat more difficult cases that weren't possible 5 years ago. However, some Invisalign patients are caught off guard when an extra bump or button is put on to help with treatment, which isn't shown in the Invisalign marketing materials. These attachments are necessary for more difficult cases, and here's a quick dive into their purpose. I had Invisalign in the past, but I need a small fix. Our past patients of Invisalign near Torrance and Redondo Beach often ask if they can get a small fix, and if so, what are their options. What can I do about broken Invisalign™ trays? Invisalign is a great way to get your best smile. As a top provider of Invisalign near Torrance, our patients sometimes ask us what they can do about broken or cracked aligners. Dr. Rita likes to advise our patients that you should always clean off the last set of aligners and keep them somewhere safe when you move on to your next set. These can be used to maintain your progress if you break or lose your current set. That said, we have answers to your broken Invisalign questions.